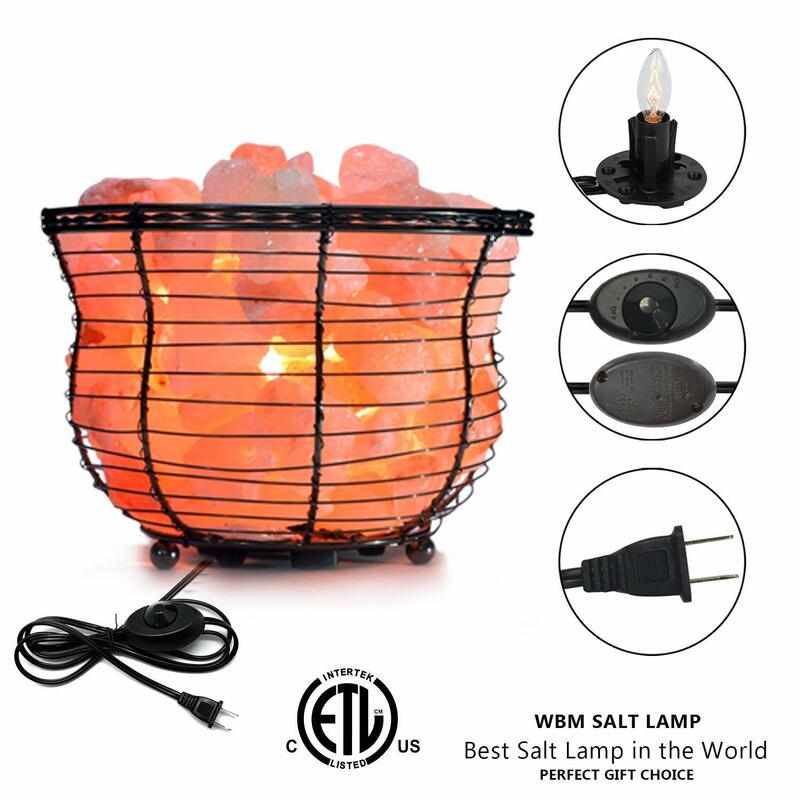 Size: Tall round Salt lamp, WBM’s Pink Salt Night light is unique tall filled with 100% pure Himalayan Rock Salt Crystals. 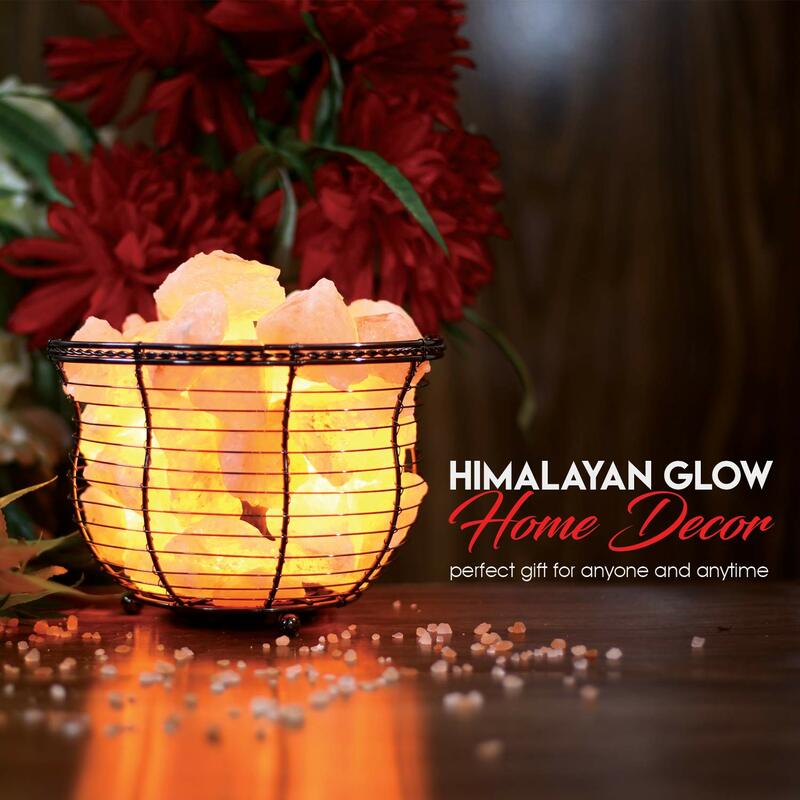 We makes the best quality of the Himalayan Salt Lamps – salt crystals are hand mined in the Himalayan Mountains, especially handmade for uniqueness. 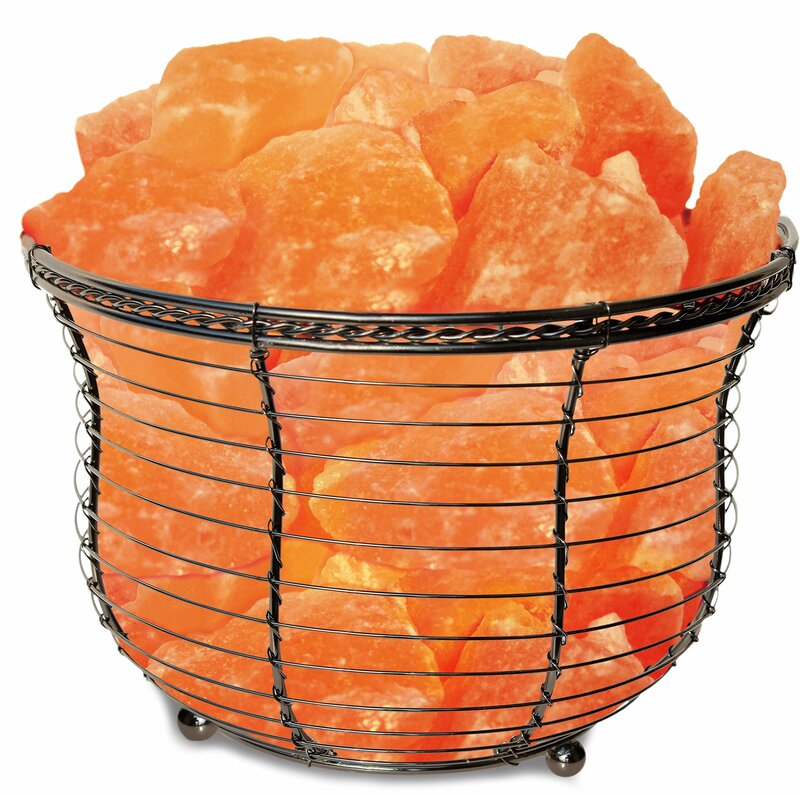 The Tall Round salt lamp is made of intertwined metal and features a black polished coated finish. 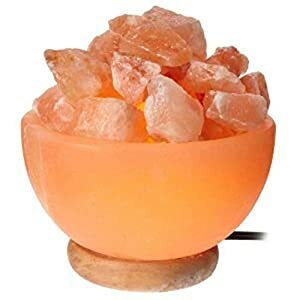 Once lit the lamp will emit a calming Amber color. 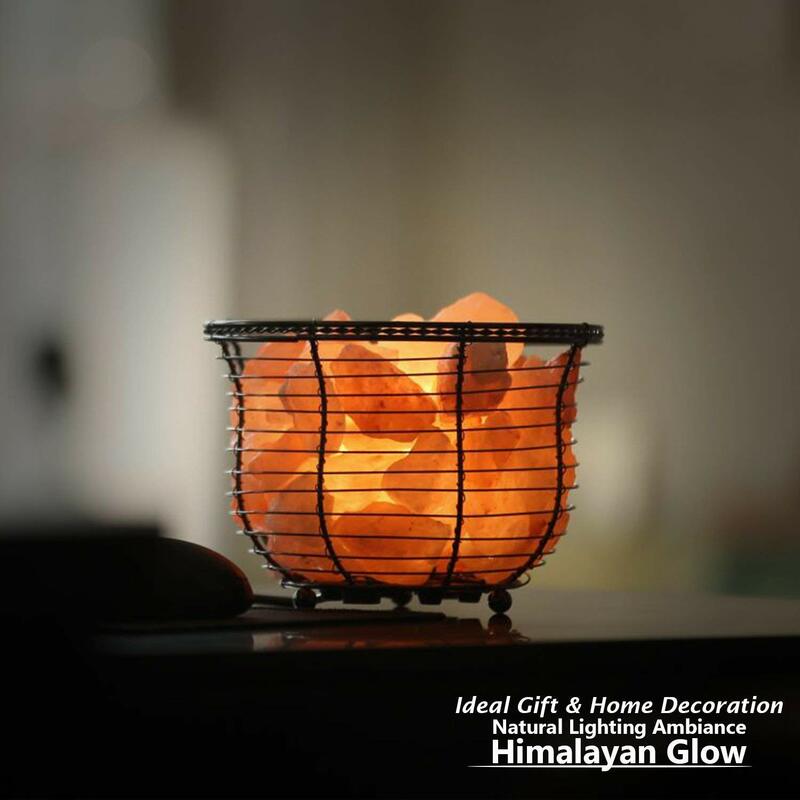 Himalayan salt lamp provide a pure and natural source of light, Great as a night light, bed light, Desk lamp, or Table Lamp. Each and every lamp is unique. 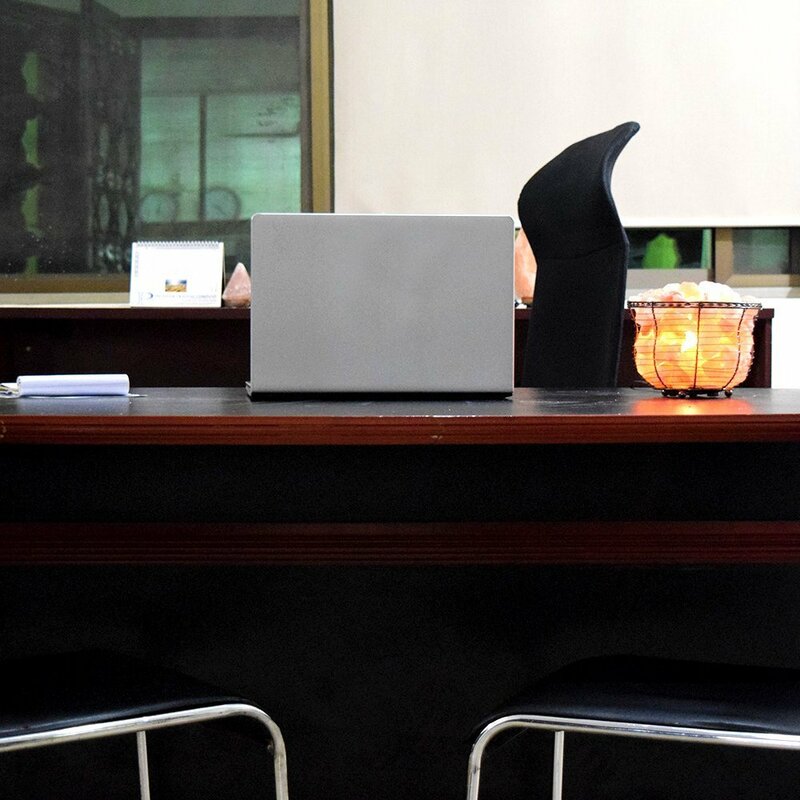 We always stand behind our products and we listen to our customers. If you have any question, just contact us through the message and we will give you 100% satisfaction. 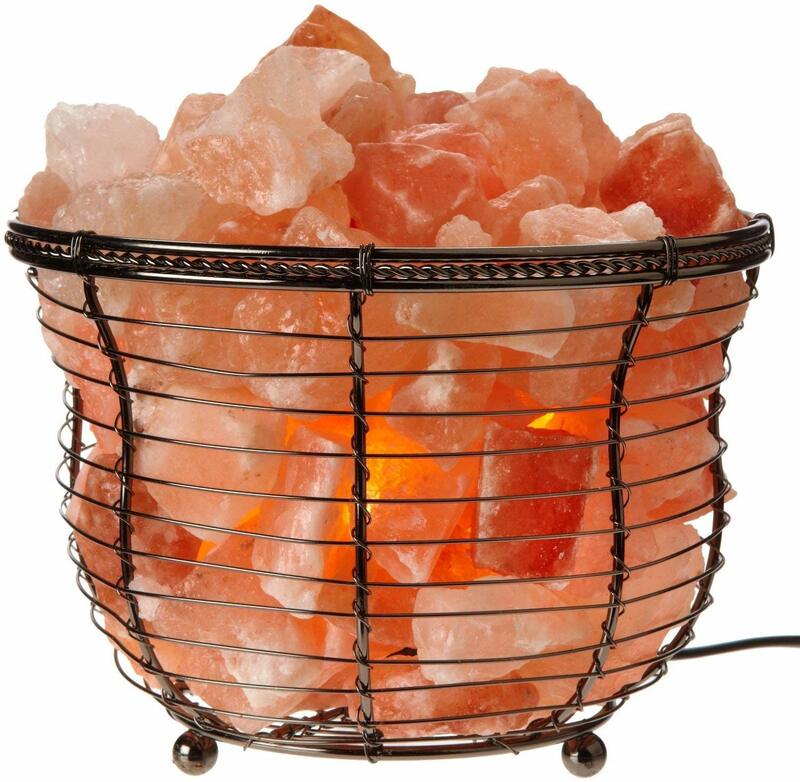 ♥ Salt Material: 100% Himalayan Pink Salt Crystal. ♥ Power cord: 6ft Power cord with Dimmable Rotary Switch. ♥ Reliable & Easy to Use Dimmable Lighting: Adjust the simple rotary knob on electronic dimmer to get the desired intensity of Glow. WHAT IS IN THE BOX?? ♥ 1 X 15-Watt Light Bulb. 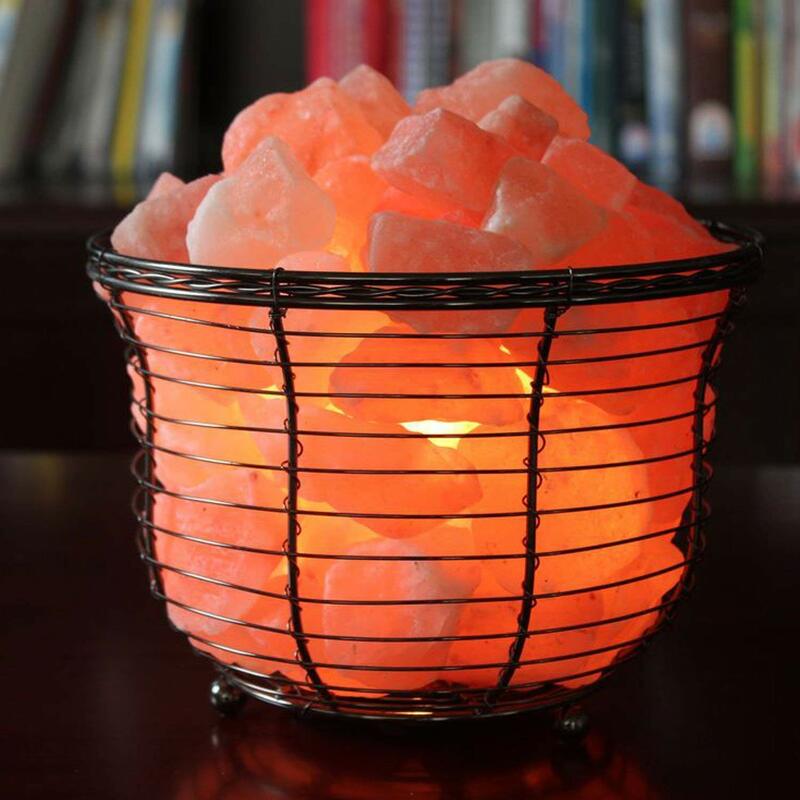 ♥ 1 X Himalayan Salt Night Lamp with Dimmable Switch. 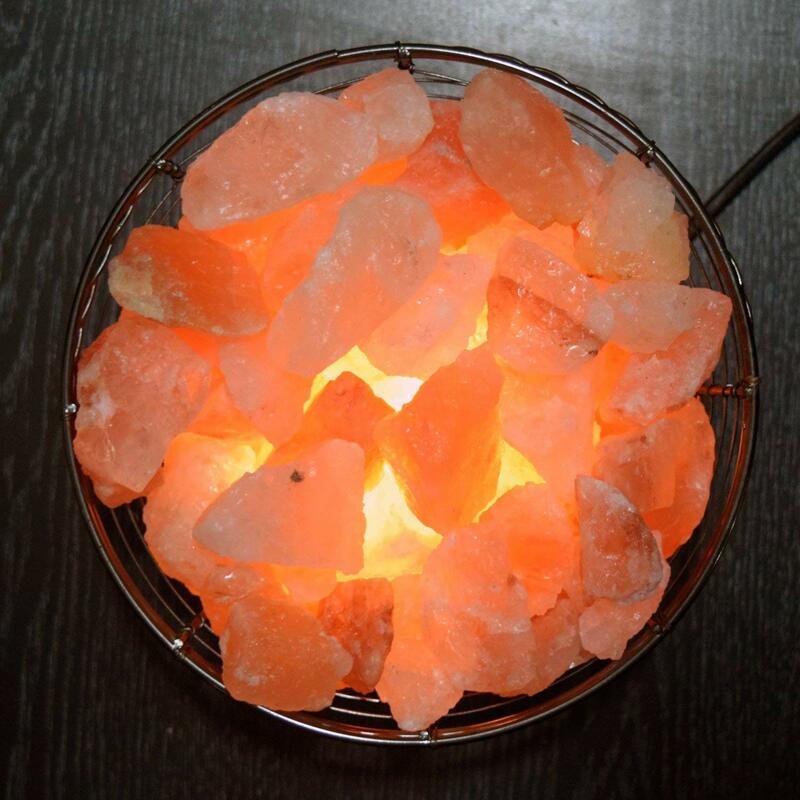 ♥ 1 X User Manual of salt lamp. ♦Here are few examples of our customer’s reviews and opinions. 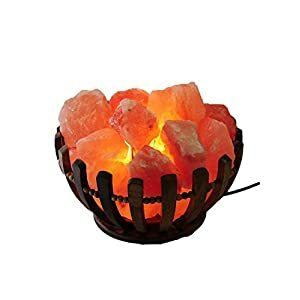 These reviews are 100 from customers who purchased and experienced these lamps. I was a little concerned about the leakage that people seemed to be reporting. 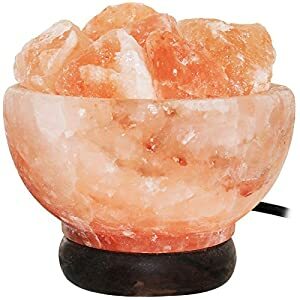 This seems to be a natural result of the salt lamp, depending on its environment. Though my room isn’t humid during the winter. 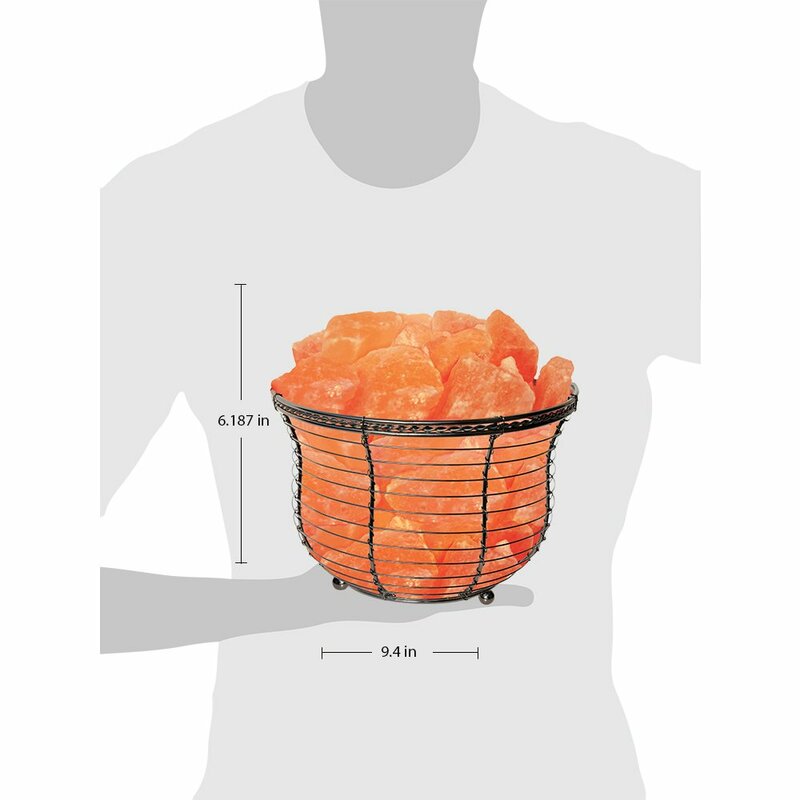 A must for my stuffy apartment. This lamp spends all night dimmed on my bedside table. I’ve really appreciated the soft light in the room, and I’ve noticed a difference in air quality. It seems to be solidly built. I’ve owned this lamp since August 2016, and it still looks new out of the box. 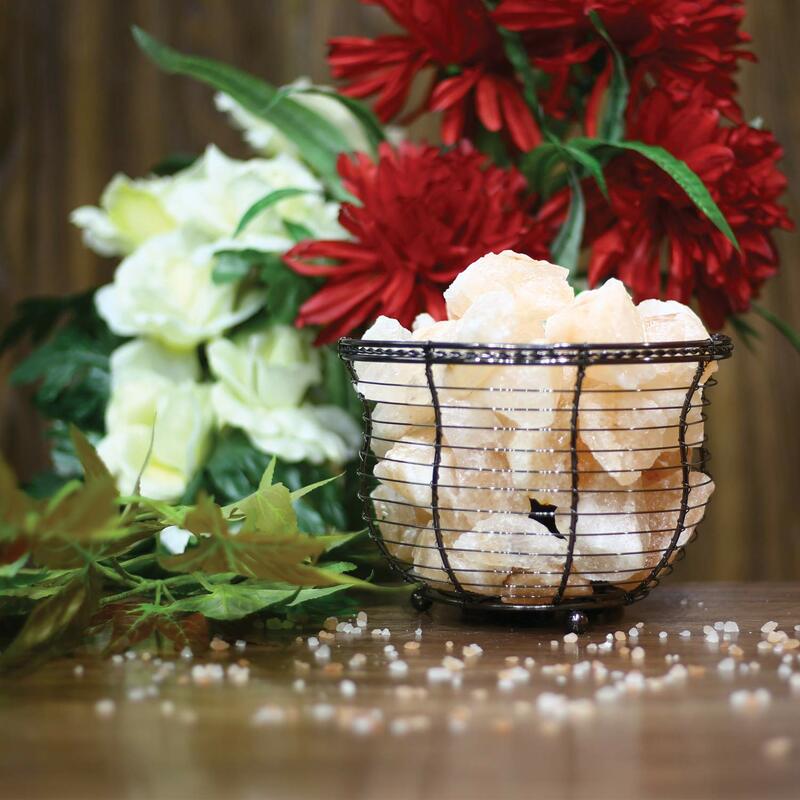 The best gift you’ll ever give! 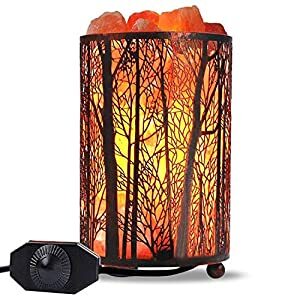 I fell in love with this lamp after seen it in a magazine and have given it as a Christmas, and a “Just because” gift and it is a hit every time. WARNING: Consuming this product can expose you to chemicals including lead, which are known to the State of California to cause cancer. For more information go to www.P65Warnings.ca.gov-food.